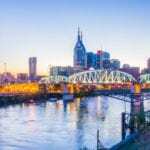 NASHVILLE, TN — Metro Nashville Public Schools (MNPS) has partnered with Nashville State Community College for the 2018-2019 school year with the inaugural launch of the Early College High School Program. 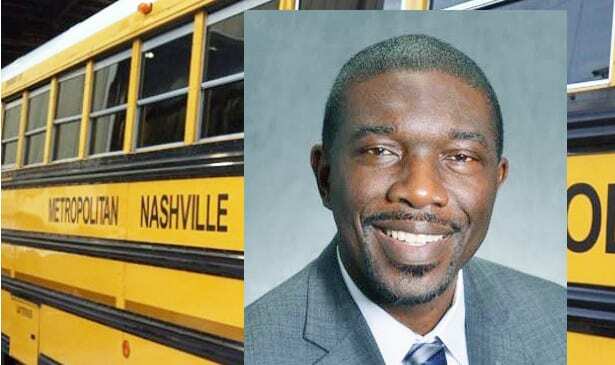 Dr. Shawn Joseph, Director, of MNPS, shared this exclusive announcement with the Tennessee Tribune as he continues to remarkably exceed the expectations of the community and prepare today’s students to be the future leaders and change makers of Nashville. According to Dr. Joseph, “Effective immediately, every rising eighth grade student in Davidson County with at least a B-Average, who can pass the required state tests, they can now apply for the Early College High School Program and participate in a regular high school educational schedule and graduate with a tuition paid Associates’ Degree after four years.” These pre-requisites and application standards are no different than the application process for Magnet schools or schools such as Martin Luther King. Dr. Joseph indicated that a version of this concept has existed in some format in Nashville for tenth grade and above, but not like this, not at this level and not at this magnitude There is no program in Davidson County where an eighth grade student can go to high school as part of a normal schedule and walk out the door in four years with a two-year degree in Business Administration, General Studies, Mechanical Engineering, Health Sciences, Computer Science, Music or Information Systems and be college ready to begin working on a Bachelors Degree or head into the work force prepared to be a contributor to Nashville’s thriving economy. With over 86,000 students, 167 schools and the 2nd largest school district in the state under his leadership, Dr. Joseph’s visionary efforts with this Davidson County initiative has gone above and beyond traditional ready-to-work, advanced academics and internship programs. Dr. Joseph indicated “this is a game changer for hundreds of families who do not have money for college because their child can now receive a free all expense paid Associate Degree across seven disciplines.” In other words, this is the high school version of the adult program Tennessee Promise. Whether a family has a child of one or a family with three, the children are all eligible to apply. All resources such as fees, lab related expenses and textbooks are provided in order to help the students achieve success. Dr. Joseph indicated that this too, is considered a magnet program and there will be a waiting list.. The program is only accepting 100 students and as the cut-off date approaches for the state test, families can still apply and inquire. He said that “He wants to ensure that any child that has the ability to participate receives the opportunity.” Although the seats are being filled and the process is competitive it is also fair. MNPS is already going through databases and data to identify eligible students and are sending out invitations to academically qualified students to notify them of their eligibility to apply. The Early College High School program has been established as its own unique school on the campus of Nashville State Community College in a specially designated learning area beginning with the Fall 2018/2019 School Year. Dr. Joseph is relentless in his efforts to help the students of Davidson County achieve greatness and be the best they can be and achieve their dreams and goals. He continues to effectively move Nashville public schools in a positive direction as he advances the mission, vision, goals and values and high level actions that define the district as one of excellence and accountability. The goal is to help students walk across the stage, obtain an Associate’s Degree and have a plan for their life. There is still plenty of time to enroll and be ready for this opportunity of a lifetime. Students can still apply in time for the August 7, 2018 school start date. Applications are still being accepted for enrollment. For more information, visit the website at www.mnps.org/earlycollege.